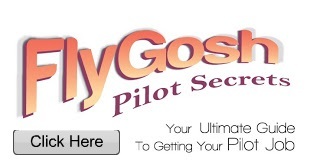 Hi all cabin crew wannabes and fans of Fly Gosh, I have been benefiting from this awesome website and thought that this would be the perfect opportunity to contribute back! I will be sharing on my latest experiences in the Singapore Airlines’ cabin crew walk-in recruitment held on 14 July 2018 at the Pullman Hotel in Kuala Lumpur. I’ve also previously attended an earlier version held at Sunway Resorts & Hotel in Kuala Lumpur on 30 June 2018, but was unsuccessful at Round 3. Besides, as from what I noticed, SIA is actually having interviews in Malaysia, Kuala Lumpur quite frequent this year, 2018. Which is about once every 2 weeks. I encourage everyone to check out their official website frequently (about one day once is good) for an instant update on their interview dates and location. I arrived the venue about 9am and there are already quite amount of people in front of me. About 100 (?) and the crowd keep coming in after me. However, the crowd is not as packed as I thought. In this round, you will get your height measured before you hand in your application form and other documents. You will get a number after handing in your documents and don’t forget to stick it on the left side of your chest! This is the round where 10 of you will enter together and interviewers will throw you a super random question. Question: What is your favourite local breakfast and why? I really got stunned because I’m not a breakfast person OMG. But anyways the first thing popped in my mind was Nasi Lemak. It’s a common answer and I knew someone would answered the same selection as mine, but don’t be panic. It is okay that you got a same answer with the others, but make sure to make your reasons clear and why you loved it. It was almost our turn and we got informed to go for lunch break first. OMG. It’s like the next it’s gonna be your turn, but you gotta lunch first. Anyways, so we went for lunch and get back to the venue on time. (usually the lunch break will be an hour). We get back to our seats and waited to be call for our turn. After a good wait for couple of minutes, finally it’s our turn! This round will be 6 of you entering together. Firstly, you will be paired up 2 in a team and you will asked to introduce your partner that you just got paired up with. No worries, you will get a couple of minutes to introduce and discuss a little before you introduce him/her. After introducing, interviewers will give a statement and you will be separated once again where 3 have to agree and 3 have to stand for disagree. No worries! You will also get time to discuss with your group mates before answering. Question: Social media brings people closer. I was told to disagree the statement, so I have to think how to answer why I disagree even if you agree with the statement. I mentioned even though social media is very convenient to contact each other, but that’s just very surface kind of contacting. I also mentioned how people nowadays just rely on social media and barely meet up physically with their friends. To me, I personally think that meeting up in person is the real catching up and go for deep talks. Social media couldn’t really express how you really feel in words sometimes and that’s what makes meeting up each other brought people closer while you listening to their concerns in person. A less tense moment I had during this round was I made eye contact with one of the interviewer accidentally. He looked at me and used hand signals and ask me to smile, then I realized I was too nervous and I forgot to smile. Then I quickly smiled to him and he laughed at my expression. It actually made me felt quite heart-warming in quite someway! We were told to wait for our results outside. After a couple of minutes and guess what?! My whole group of 6 got through to the third round!! Yes, all the 6 of us got through! Can you imagine how hyped and excited we were at the moment? Ohgosh. There’s really no frame of how many person they will choose in every rounds. So it’s possible that you could hold hands with all your group mates and proceed to the remaining rounds together! This round is where you will need to face 2 interviewers alone. I waited for about another an hour until it was my turn. So before it was my turn, there are some candidates went in beforehand and came out. They are very nice to share what are the questions asked and kept mentioning that don’t be worry as the interviewers are very nice and friendly. Thanks to them, I got a rough idea what questions the interviewers are about to ask me. As I entered the room, there were a male and a female interviewer. I greeted them as soon as I entered the room. They will ask you to make yourself comfortable, and so as soon as you sat down they will start to ask you questions. Questions: Please introduce yourself. What do you know about this job and why do you want to work for this? What is your hobby? Do you still do sports now? What are your strength and weaknesses? The questions were asked separately but I just combined it at the top. I introduced myself briefly then they asked the question right after. I mentioned that I will talk about what I knew about this job but I might be wrong as I did not work as air stewardess before. Since I mentioned my hobby is jogging so they would ask me if I still do sports/gym. The male interviewer asked if I play other sports as well. I actually got my guard down after the round 2 because I was too happy that the 6 of us actually got through together. I knew I kinda messed up in this round and I didn’t expect they would ask me last question. So.. I just answered whatever that came in my mind..
Once they said thank you and so I moved my steps outside the room and wait for the results. It will be fast in this round for you to know whether you could proceed to the next round. (It was less than a min after I came out and one of the staff called my name) So, as expected she told me: “So sorry. You’re not selected..” Then I go: “Ah, it’s okayyy!” I thought I was cool and fine to accept the result but realized I wasn’t when I can’t sleep well that night. And so I decided to go for the second time and to try really my best and reminded myself NOT TO LET MY GUARD DOWN. For the second attempt, I dragged along one of my friend that wanted to try since ages ago but afraid to step out for the first step. We both arrived the venue about 8:45am and the crowd was even lesser compared to my first attempt. Just a reminder not to miss out ANY documents that is mentioned in the website. After height check, handing in documents and so we got our number and were told to head into the waiting room for round 1. It took just about 10mins to my groups turn. As I mentioned earlier the crowd is not packed and that’s why it took just a short time for us to enter the first round. Question: Between Cake and Ice cream, which one would you choose and why? I personally find it quite a lucky one since you got a selection to choose while answering the question. When it was my turn, I made sure I stood up straight with a good posture, greeting everyone and begin with a short and brief self-introduce. I answered I will choose ice cream as Malaysia is a country with 24/7 hot weather, by eating ice-cream it could chill and sooths your feeling. There’s definitely no right or wrong answers in round 1. Make sure you answer what came into your mind naturally and as long as it is logical. And so 5 out of 10 of us got through to the second round! 1)Make sure to make your introduction and answer SHORT & PRECISE. Do try your best to keep it within 1minute. 2)Don’t show that you’re nervous and try not to stuttered during your speech. 3)Keep in mind that your actions will be monitored by the interviewers, so make sure to keep a smile on your face no matter it is or not your turn to answer and also do pay attention while the other candidates are answering. Question: The motion of taxi, is it good or bad? At first we were all not too firm about the question and one of the male candidate asked whether is it restricted to taxi only or the service of taxi which includes grab/uber. Then the interviewer made it clear that it’s about the service of grabbing taxi (including grab/uber) whether it’s good or bad. I was on disagree side again and it was really a tough one. But no matter how you still have to disagree the statement even you tend to agree the statement in your heart. As usual, we were given about 1-2minutes to discuss among group mates. I mentioned that it can’t be deny that it is convenient for us to grab a taxi or uber since we’re able to request one through our mobile phones nowadays, however, sometimes it still took long time for the driver to arrive depends on location. Besides, even though that the information of driver will be shown, unfortunately there are still some cases that passenger got robed and raped which is still dangerous for us, the users. My answer actually shocked the interviewers and he asked: “REALLY AH? In Malaysia?” And I answered yes as I read the news through online. Don’t be afraid and be firm and confident with your own answer! But remember, not to be over confident! After that we were told to head outside and wait for results. Only 3 out of 6 of us made it through. How I wished the miracle that happened to me during my first attempt could happen again where each and every one of us could pass together. 1)Do not confused by the title of “Debate Round”, it is not what you’ve seen in school kind of “academic debate”. It is a round that where you have to stand on one side as you told to, then deliver your points when it is your turn. 2)Do not be confrontational to other candidates’ answer, just be graceful and deliver your point calmly. 3)Try your best to get your points even if you’re more on the agree side when you were told to disagree. 4)Keep a smile on your face and do pay attention while other candidates are answering. Here comes the most intense round (to me) as this is where I failed in my first attempt. I waited for about 4-5hours for my turn in this round. I was so nervous for that few hours while I was waiting as I told myself not to let my guard down. After the long wait, finally it’s my turn to enter the room. I made sure I keep a smile on my face and not forget to greet the interviewers as I entered the room. (yes even before I sit down) One of the interviewer double checked with my documents and my education qualification. She then asked: “Why do you want to work as a cabin crew and what is your aim to work as a cabin crew?” I answered with that I love meeting new people and make new friends. I wished to get to know people from different countries, when I visit their country someday they will welcome you and it would be so heart-warming. However, the interview then questioned again: “But isn’t this kind of friend is not deep kind of friend, it’s just hi-bye friend?” I tried to calm myself down despite of my nervousness then continued that we could understand their culture more with my own experience. I’ve got a few Korean friends and through communicating with them I got to know some ethics and cultures we should not do while we are in Korea. She questioned again: “So your friends are from Korea only?” (I guess she wanted to know the reason I chose this job is it solely wanted to travel to Korea ONLY) So I answered I have other friends from other countries such as Indonesia and Philippines. I totally had no idea what I can do as I am not sure the rules of the airline whether we could provide him the wine. I answered that I would try to calm the customer first and refer to my senior what to do in this situation and whether we could provide him the glass of wine. I answered that when someone got accused or scolded will definitely feel angry, but as we work in this industry, we should know how to control anger and do not show it to the customer. So I would still find a way to keep him calm and will still refer to my senior what action I should take next, whether to give him the glass of wine or compensate him with something else. My answer: When someone looked for customer service is when they faced a problem and probably is furious with the problem they are facing. As we face the customers we shall keep our tone delighted to make sure calm the customer. As we work in the customer service we should find out what is wrong before we make any decision. I mentioned that I am a person rarely get angry but when I am angry I would share my stories to my family. Later on they check on what sports do I play and how I often I still do now. After the questions about my sports and that’s the end for this round! I still don’t know whether if I will pass this round because the interviewers are poker face, you can’t predict whether you will get through. Once I get out from the room, in less than 20seconds, the staff called my name out and asked me to follow her and she’s walking towards the room for round 4! OMG! I couldn’t believe I made it through. It was just like a miracle! As I entered the room I saw there are a row of kebaya hanging nicely on the rack. The staff told me to pick one set of kebaya and wear it. I told the interviewer that I am not sure how to look for the size of the kebaya since there is no labelling on the clothes. Then the interviewer told me that there is no fixed size of S, M or L, all kebaya hanged on the rack are all in different sizes so I should just search for one set that fits me well. My jaw dropped literally. Because I am not skinny type of person and all the kebaya looks SO SMALL to me. So I picked a few of the kebaya and try until I found one that fits me. I went in and out for twice as I couldn’t find one to fit me T_T But I’m glad that I managed to stuff in one of the kebaya in the end! (You may take your time to look for the best fit kebaya for yourself, but remember not too long. You wouldn’t like waiting for someone too right?) Oh ya, don’t forget to tie your hair up if you’re long hair! It’s okay if you didn’t tie for the previous rounds, but you will be told to tie it up in this round. Once I fit right in the kebaya, I quickly walked out and face the interviewer. There are a few sandals on the floor and you will be told to wear a pair of it. (It’s okay even if it’s not your size) I was then told to head to the weighing machine at the corner as they need to check whether my BMI is in the healthy range. There is one girl went into 4th round before I did and was told to leave as she was too skinny. It was so sad and hurtful to see. After the weight check, I was told to stand next to the window where there the sunlight shines in through. Through the natural sunlight, it will expose your skin condition whether it is healthy or not. I held my fringe up as I didn’t tie my hair when I come for the interview, so I didn’t bring any clips along too. I still haven’t get through the nervousness since round 3 and the interviewer suddenly asked me, “Your skin condition considered okay actually but only the forehead. Do you know why?” I stunned and shook my head and she asked, “What’s on your forehead?” I don’t know why but my brain literally hanged and I answered “Today I applied some Foundation…” and the interviewer goes “NO! It’s your hair!!”. We laughed together, probably because of my silly answer previously. She then explained how the hair irritates my skin and I should clip up my fringe from that day onwards. Later on you will need to life your kebaya up to knee length. I had a scratch on my leg due to hiking last weekend and the interviewer will definitely ask you and when you got the scar/scratch. Then your hands and neck will be checked as well. If there is birth mark will be jotted down as well. (I have one tiny birth mark on the neck) They will ask you if you have any tattoos. The interviewer then told me she will check out my back and she PULLED my kebaya out of sudden. I was shocked because mentally not ready for it hahah! After that, I was told to walk towards the door and back to the original point. The interviewer told me just walk like how I usually do and don’t be nervous. I clearly knew they are going to see whether the way I walk is feminine so I told myself not to hunchback and walk smaller steps (Because I am not the really feminine type and I don’t know how to catwalk HAHA) So I made sure I walked carefully and not too boyish. As I reached the door and I turn back and look at the interviewer, she said: “Do you always walk likethat?” *Then Imitates how I walked* (Which very boyish and very man HAHAHA) “You walk so man oh!” she said. We laughed together because it was too funny hahaha! She then showed me how to walk more feminine and I try to walk like it on the spot. She keep mention “Can you walk more feminine ah? Can ah?” So I answered that I will learn hahaha! After that, I was told to change my clothes. So it’s the end of this round! As I was still wearing my heels, the staff stood outside the room and keep calling my name. Then I hurried myself out with one heels on to acknowledge the staff. The staff then told me to find her after I wore my heels to fill in the employment form. Oh god, everything happens just in a blink of an eye. It was really like a dream! While I was submitting my forms and documents, one of the interviewer from Round 2 came out from the room and showed me the OK sign and whispered: “Ok ah?” I then nod my head and showed thumbs up to him and he showed thumbs up to me with funny faces. I guess I was lucky enough to meet humorous and kind interviewer throughout whole day. The week after the interview, successful candidates are required to go for a thorough medical check-up with appointed clinic by the Singapore Airlines and has to be completed within a week right after your successful interview. No worries, the medical check-up fees are covered by the airline. I went to the clinic and filled up some forms as required by the clinic. After that, blood and urine samples were taken to check HIV and some other diseases. There were also eye/vision test, X-ray for lungs, physical inspection by the doctor (spine, breathing, breast lumbs etc). It took about 2 hours for me to complete the entire process. However, there’s a noticeable curve for my spine which showed up in the X-ray and I was referred to another medical hospital for a full spine X-ray to see what degree it is. Since this is additional checks, I have to cover the expenses on my own. It costs about RM70 for the full spine X-ray from Tung Shin Hospital in Kuala Lumpur. The curve of my spine is called “Scoliosis”. According to the nurse in the clinic, I was told that Singapore Airlines accepts scoliosis up to 20 degree. About 3 weeks after my medical check-up, I finally got a follow up email from the Human Resource of Singapore Airlines informing me that I passed my medical and I have to send in few documents in order for them to apply work pass application with the Ministry of Manpower in Singapore and I am still waiting for the Golden Call! It is okay if you failed again and again, that’s what makes us stronger isn’t it?